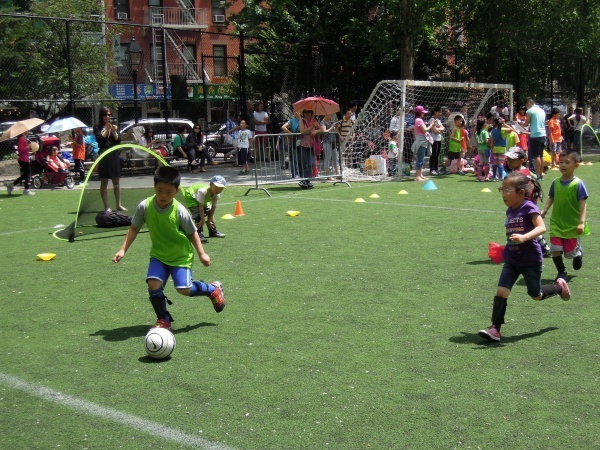 CPC School-Age Child Care Center at Chrystie Street is an afterschool program that annually serve 120 children, ranging from kindergarten to fifth grade, ages 5 to 11. We are an enrichment program, offering activities in STEM (Science, Technology, Engineer, Math), literacy, physical activity, healthy living, music, and homework help. Our goal is to provide a warm, safe, friendly, supportive environment which meets the individual needs of each child in a group setting while supporting and involving the family. We do this by creating programming that support the social, physical, intellectual, cultural, and emotional development of our participants. We serve school-age children. We offer activities in STEM (Science, Technology, Engineer, Math), literacy, physical activity, healthy living and nutrition, music, and homework help. We also offer parent workshops, field trips, and services that support families. Our program consistently outpreforms targets for rates of student participation, grade level promotion, and parent engagement. Staff on average attend 40 hours of training annually. This program is funded by Department of Youth and Community Development (DYCD), New York Community Trust/Brooke Astor Fund, and Trinity Church Wall Street.